Waterloo Archives - Adventure, baby! 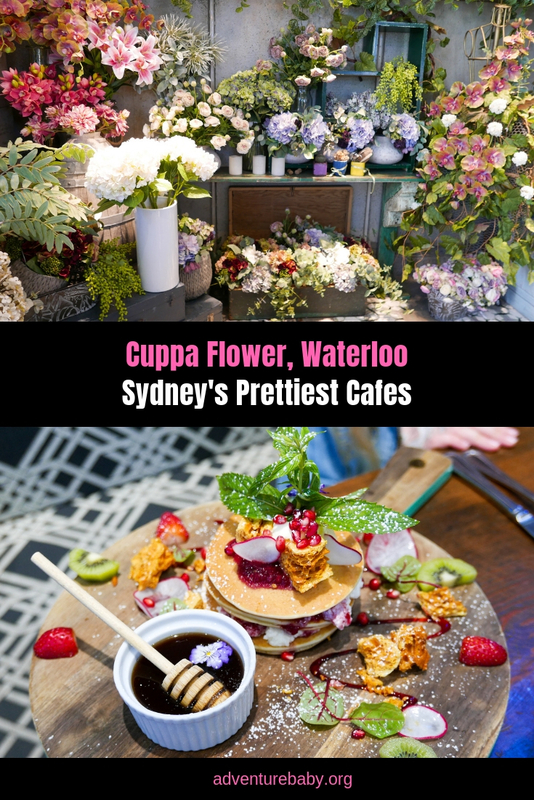 Cuppa Flower is a delightful spot in the Sydney suburb of Waterloo that is a combination of cafe and florist. 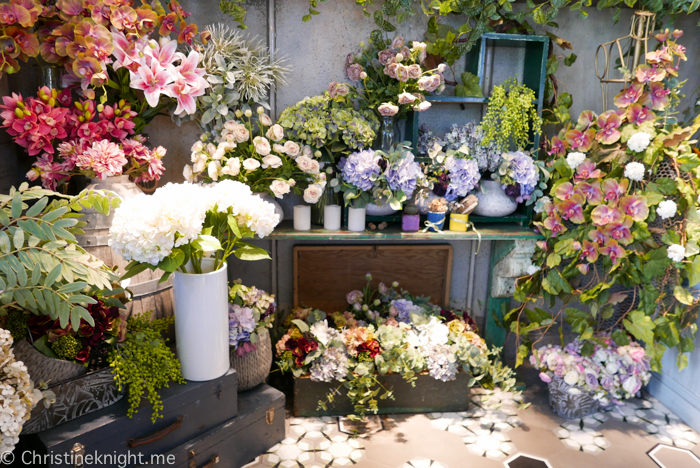 Good coffee, great food and fresh flowers are on offer. 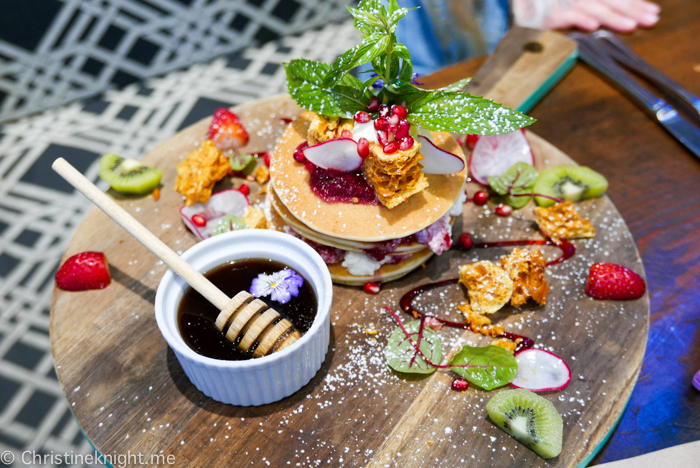 The cafe is extremely popular due to their highly Instagrammable food and drinks, including vibrant cakes, smoothies and pancakes. 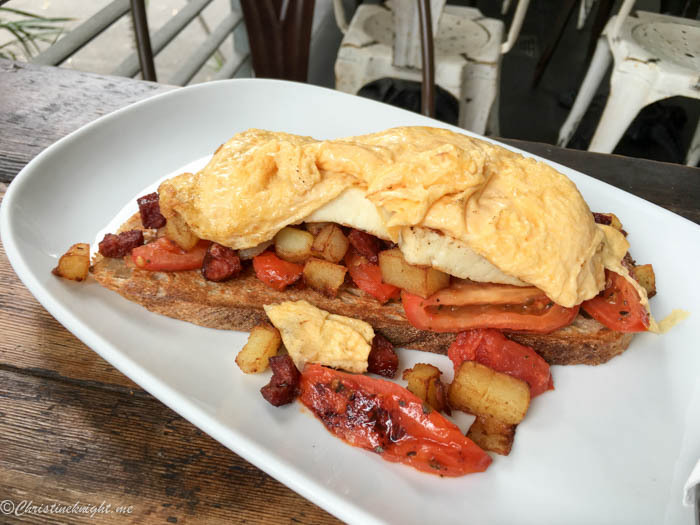 There is an all day breakfast menu plus a dedicated lunch menu. 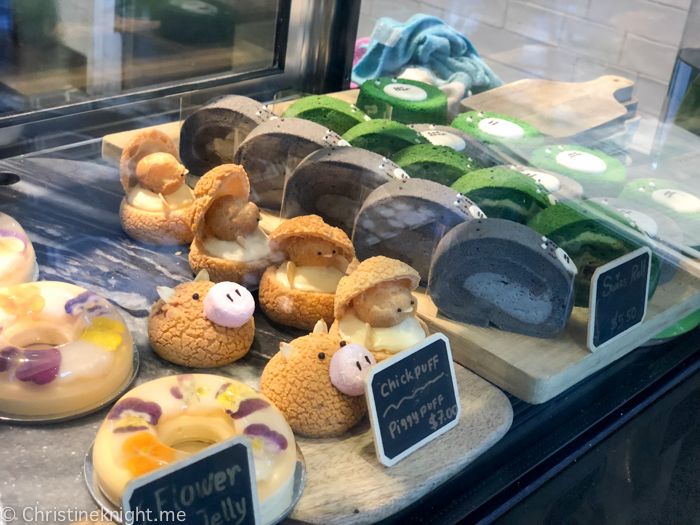 Popular choices include the red velvet, taro, and matcha green lattes, flower teas, fizzy lemonade drinks, acai bowls, pancakes, pastries, sandwiches and wraps. Everything is beautifully presented, and thankfully tastes as good as it looks. 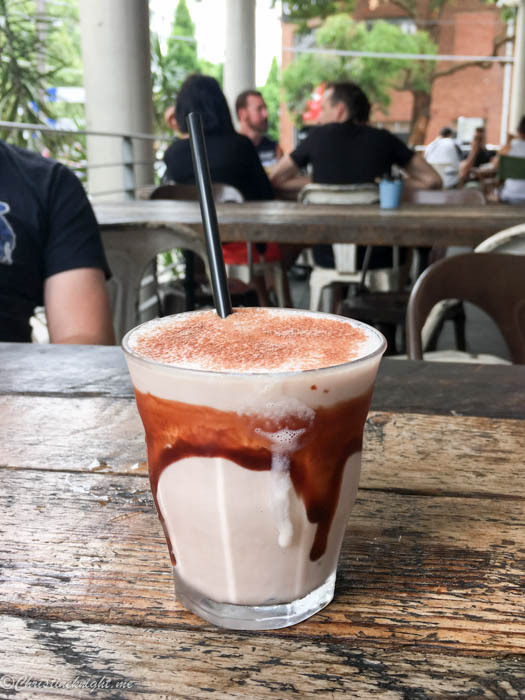 Cuppa Flower is a busy cafe thanks to its Instagram fame. There is a wait of 20 minutes when we arrive on a Sunday lunch, with a large crowd outside the front steps. The staff are friendly and extremely efficient. No time for small talk and chit chat, but everything is said and served with a genuine smile. Tip: Order at the counter, don’t wait for a server to come to your table! We ordered the Kids Fish and Chips ($12.50), Ricotta Pancake (served with seasonal fruit, cuppaflower homemade mixed berries jam, ricotta cheese, honeycomb, mascarpone cheese and maple syrup, $20.80), Eggs on Toast Your Way (2 free range eggs, poached scrambled or fried, and a choice of toast, $9.50) with a side of Hash Brown ($4) and the Grilled Atlantic Salmon Steak (quinoa, edamame bean, cheery tomato, roasted pumpkins, asparagus, lemon wedges and mayonnaise, $25.80) and the lavender-flavoured Iced Fizzy ($7.50). 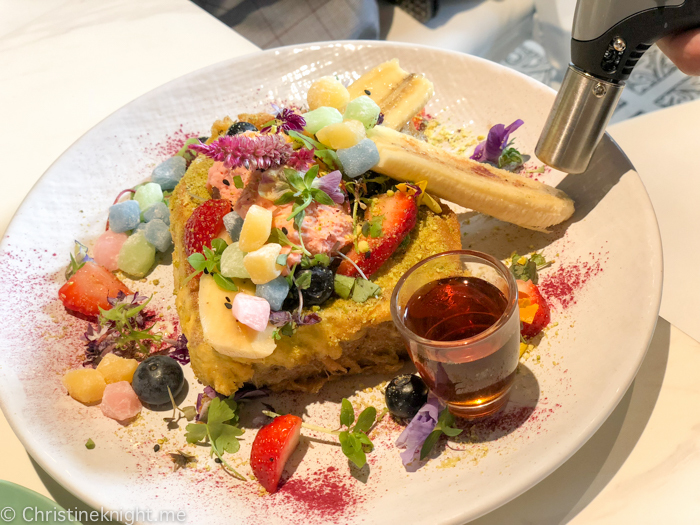 Usually when we order pretty dishes they don’t taste that great, so it was a wonderful surprise that the fancy pancakes tasted amazing. I would order them again in a heartbeat. 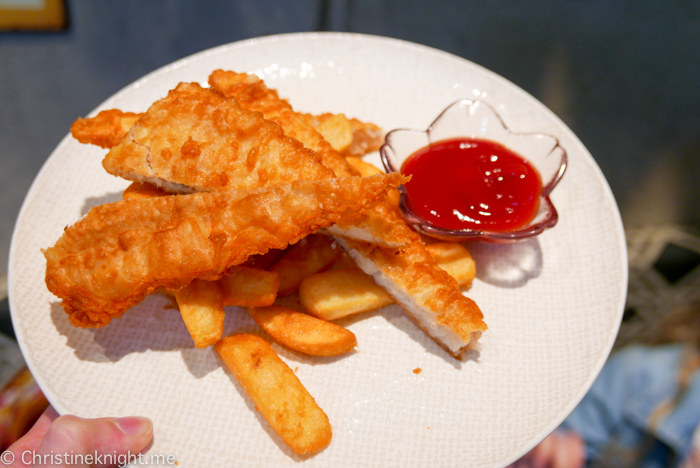 The kids’ fish and chips were a massive serve and was served nice and hot and fresh. 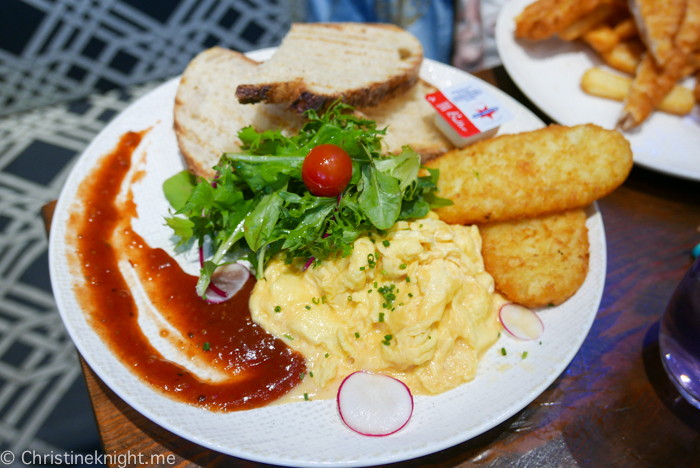 The scrambled eggs were creamy with a generous side of toast and tomato relish. Two hash browns were served as the side. 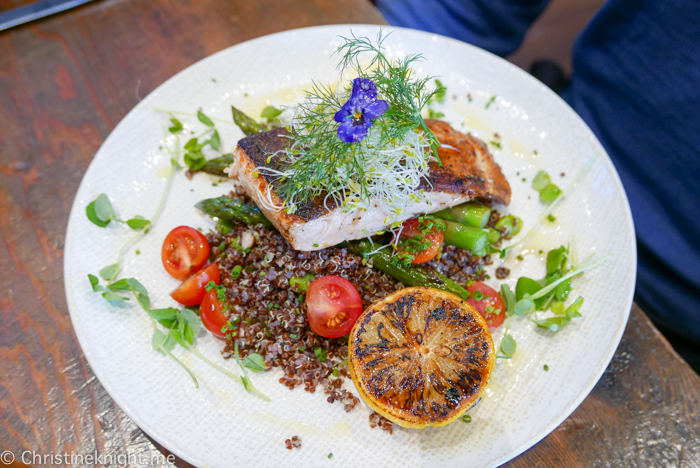 Hubby enjoyed his salmon and declared that he would be more than happy to eat here again as the food was delicious, not just pretty. 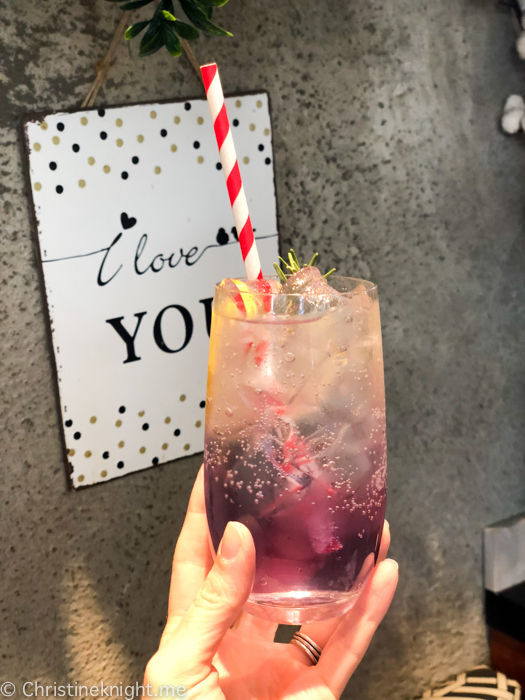 My fizzy drink was a mix of lemonade and lavender and I found it extremely refreshing. The kids menu has plenty of options for junior diners, and there was a high chair available for babies. Disabled access is through a ramp in the rear. The cafe is even dog-friendly, with two tables outside where canines can enjoy brunch with their humans. 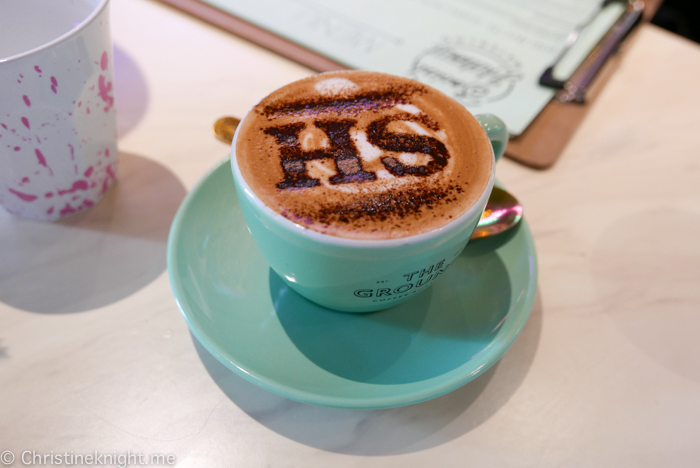 Could this be Sydney’s most Instagrammable cafe? 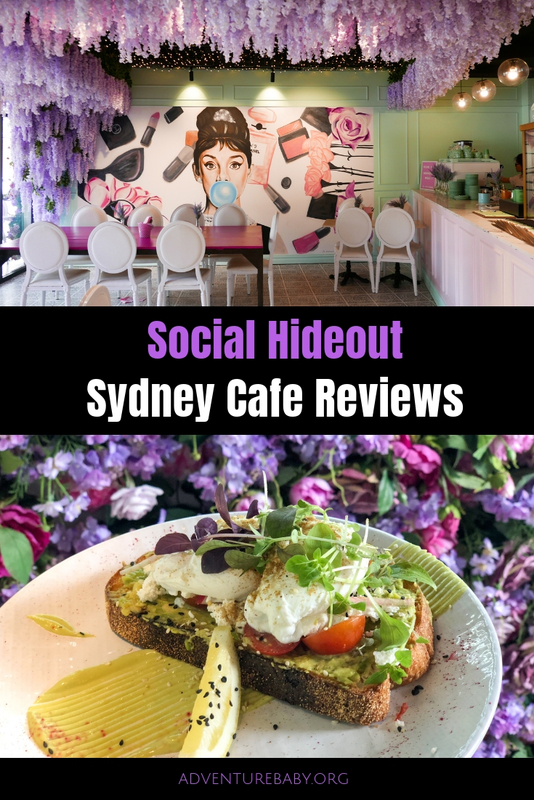 Social Hideout, located in Waterloo and Parramatta, delights the eyes and senses with its floral decor and beautifully designed dishes. We visited the Waterloo cafe on a busy weekend around 11am. 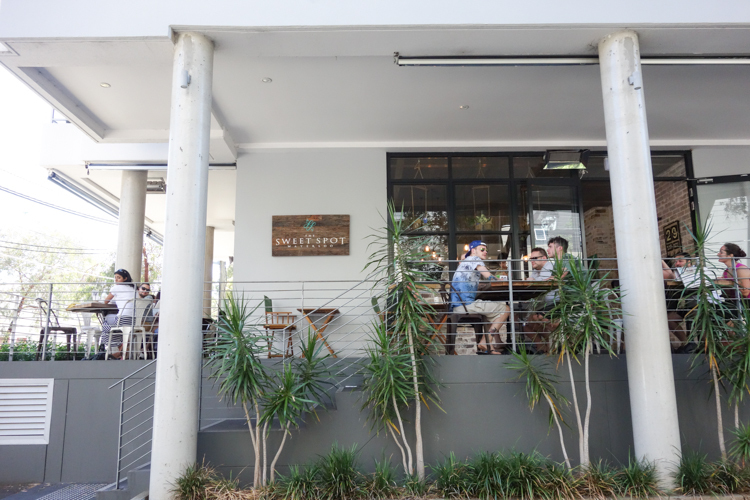 The cafe is a decent size with jam-packed indoor and outdoor seating. 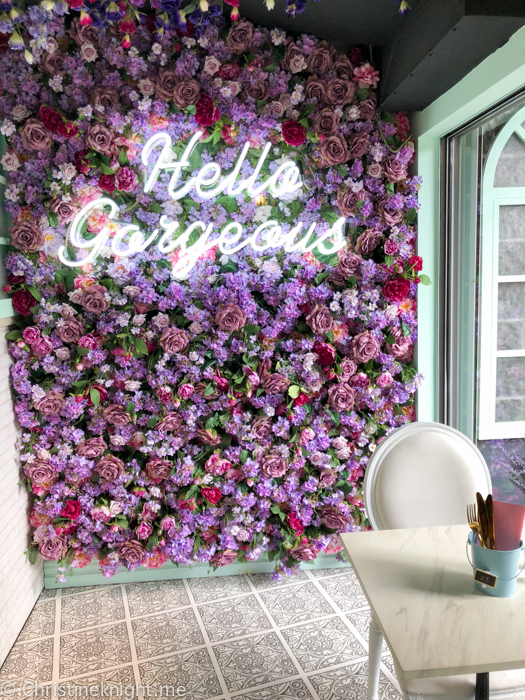 The indoor seating is where you want to be to take the pretty shots of yourself and your food (if that’s your thing!). Outside the cafe is a set up with a pretty wall and bike in front of it for taking photos, as well as plenty of table where you can sit with your dog if you want to bring it along. There is even a pet menu for Fido. Inside is where the real magic happens, however. 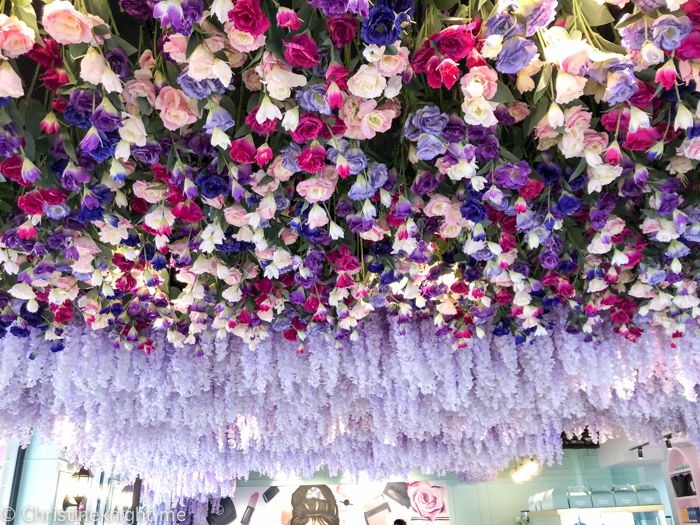 The cafes is decked out with 17,000 flowers, neon lights and a gorgeous Audrey Hepburn wall. The menu is small but designed to bring the “wow” factor. 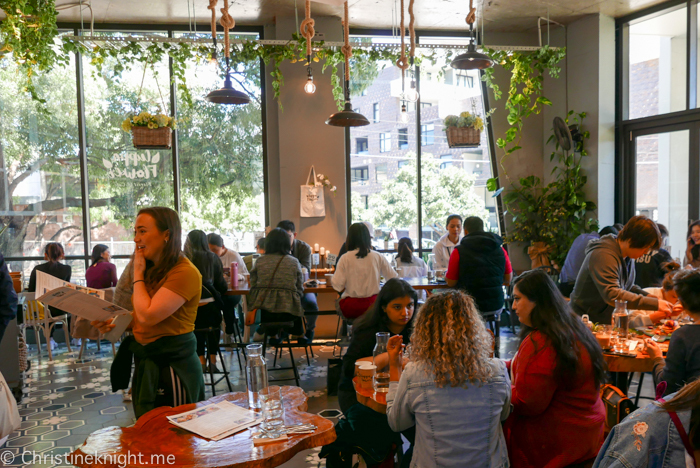 We ordered the Avocado Smash (poached eggs, cherry truss tomatoes, danish feta, dukkah, basil, sourdough, $16.90), the Mafia Hot Chocolate and Red Velvet Eggs Benedict. If you order The Green Frenchy, staff come to your table with a blow torch and caramelize the banana at your table. 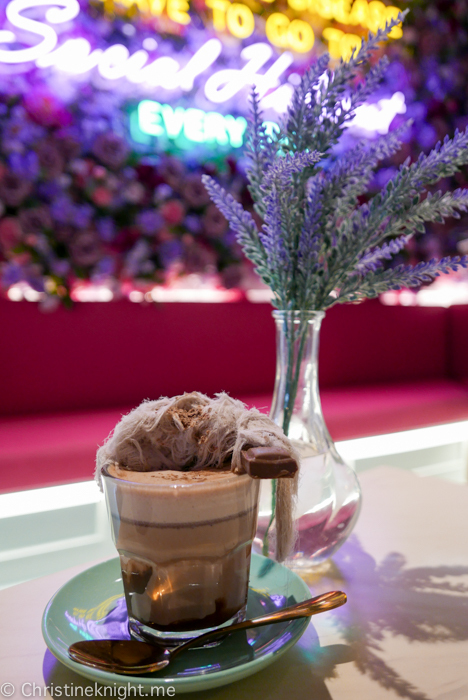 The colourful lattes are stunning, and the milkshake that comes in a bathtub is so cute. My only negative about the cafe is how unfriendly it is for families. 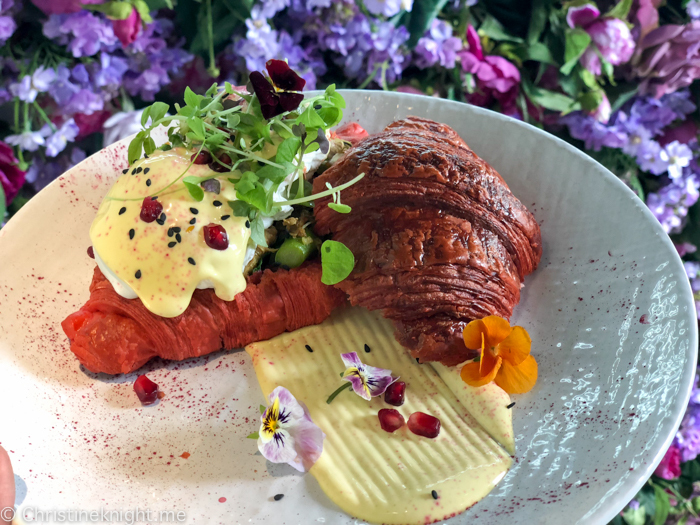 There’s no kids’ menu and while there are some ides they can order from on the breakfast menu, there is nothing on the lunch menu that kids can eat – the lunch menu is served from 11:30am onwards at Waterloo, while Parramatta has all-day breakfast. 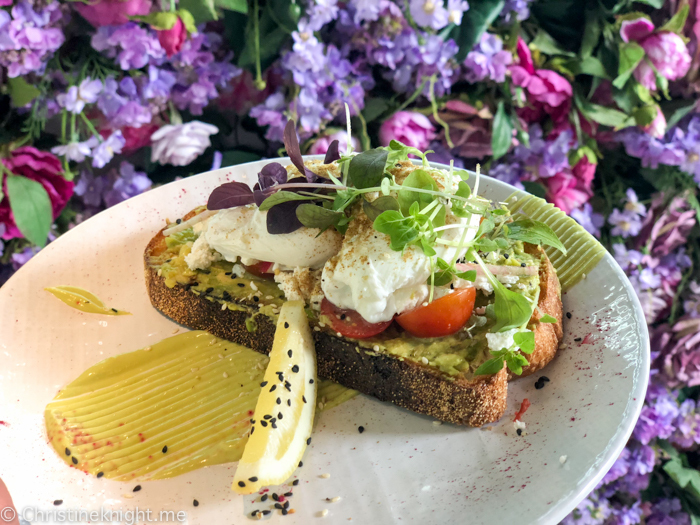 We asked for a piece of toast and a side of avocado for Cheese fifteen minutes before the changeover of menu and had the staff come back to us a minute after changeover to say they couldn’t do it as it was now the lunch menu being served. When I explained that we had ordered it before the changeover time and there was nothing else my daughter could eat on the lunch menu, the staff member shrugged and said, “Yes it’s a real problem, we have nothing to serve kids, parents are always asking for a kids’ menu”, and that was it. Since there is a dog menu, I’m not sure why there can’t be a kids’ menu too, particularly when there is a demand from their customers for it? Hours: Mon-Fri 7am-3:30pm, Sat & Sun 8am-3:30pm. The once industrial inner east of Sydney has come a long way. 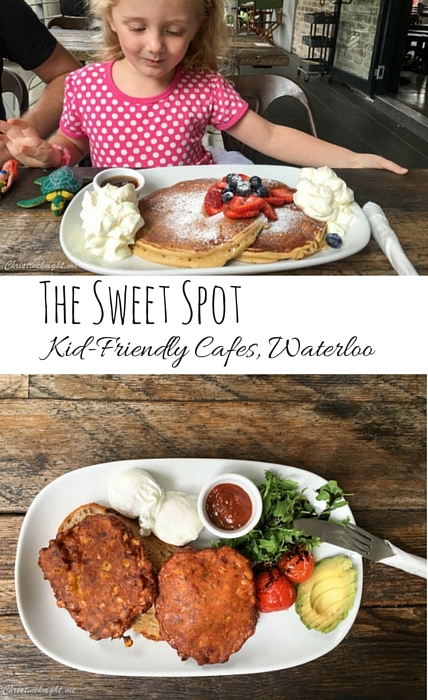 It’s now full of cute little dining spots, including The Sweet Spot, a kid-friendly cafe in Waterloo that is famous for its delicious desserts. 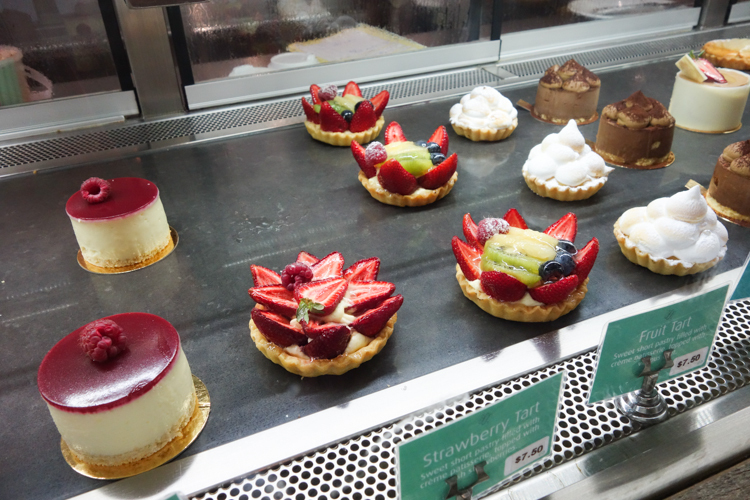 We stumbled upon the patisserie in search of a sweet hit, and continued to return for its savoury dishes. 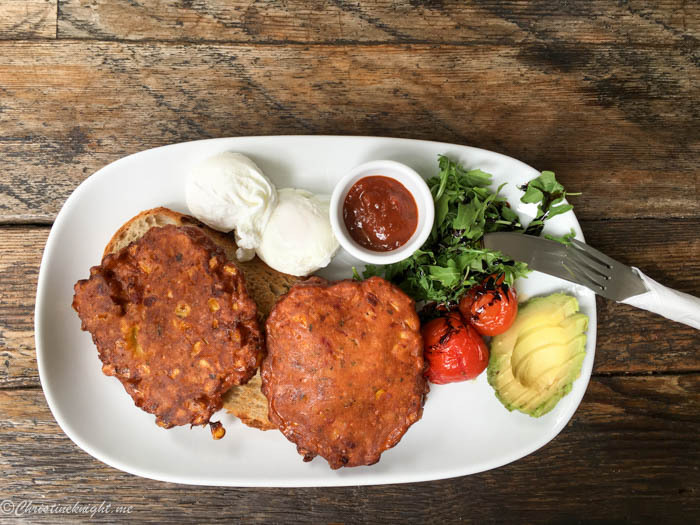 A regular order for us would be Corn Fritters (roast tomato, avocado, bacon, balsamic reduction, poached eggs & a slice of sourdough, $15) where I swap the bacon for haloumi, kids’ chocolate milkshake, Pancakes ($12) and the Big Breakfast (chorizo, spinach, mushrooms, bacon, roast tomato and 2 eggs, $18). We found the food very reasonably priced, big portions, and absolutely delicious. We could easily very happily share two meals, but it’s all so delicious we would end up ordering one dish each, then stuffing ourselves to the brim. 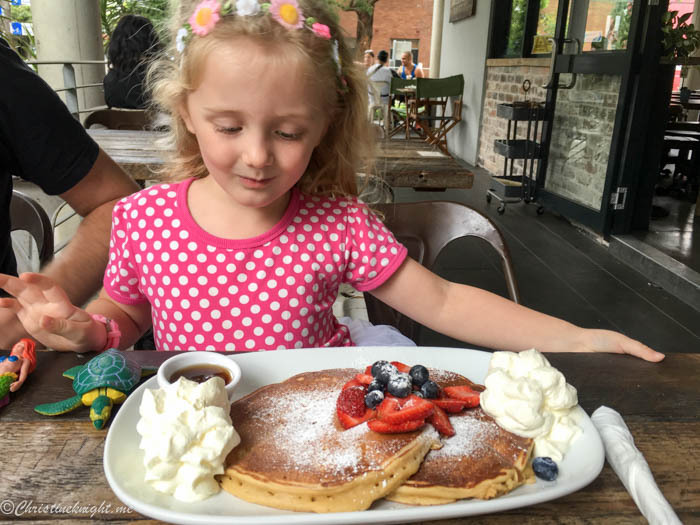 While there is nothing particularly kid-friendly about the cafe, we found the open air seating, spaciousness and attitude of the staff to make the patisserie very family-friendly. 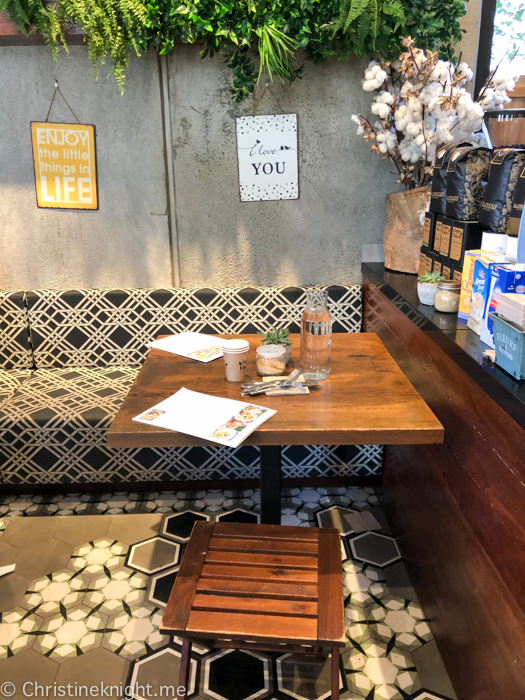 There is plenty of room for strollers to fit next to tables, and if little ones need to be strolled, there is a long ramp that leads down out of the cafe where babies can be calmed down or walked around until they’re able to return to the cafe. 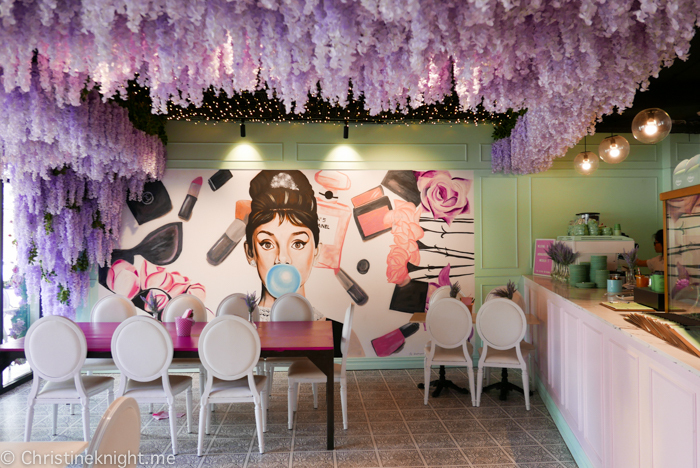 It’s an easy place to escape from other diners if your kids aren’t having a good day out.